Fully sponsoring a child costs $1800 a year, and can be set up as a $150 per month recurring donation or an annual donation. 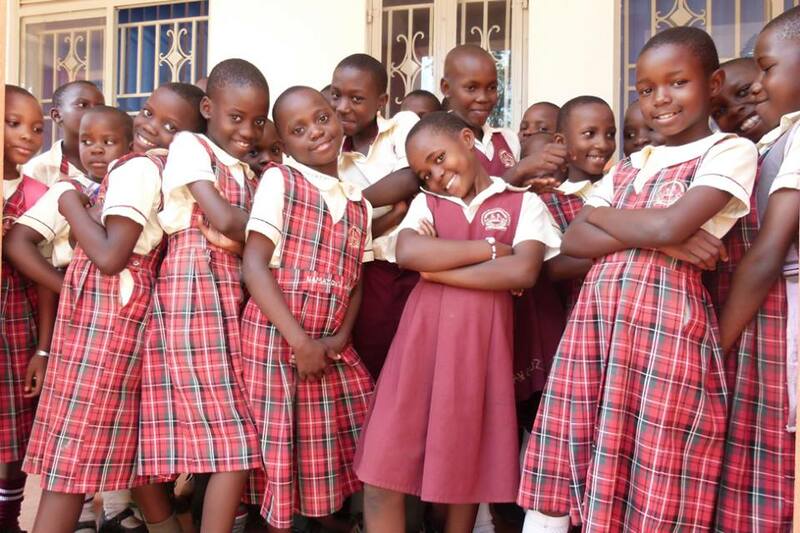 Sponsors have regular personal contact with their students and receive updates on their progress from our staff. Many sponsors and students form life-long bonds, and some sponsors even choose to visit their students during an ADI workshop in Uganda. 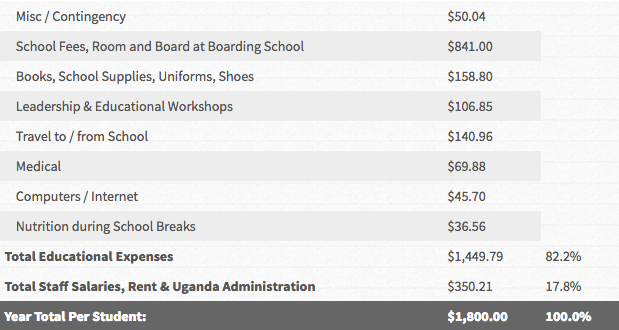 $1800 per year covers the cost of one student in Uganda. New York staff and administrative expenses are paid for separately. 82% goes directly towards the students’ educational and living expenses. Slightly less than 18% covers Ugandan staff salaries and other in-country administrative expenses.